Kanayama Lake ice fishing for Wakasagi (Japanese pond smelt). Fry and eat the fish you catch on site! 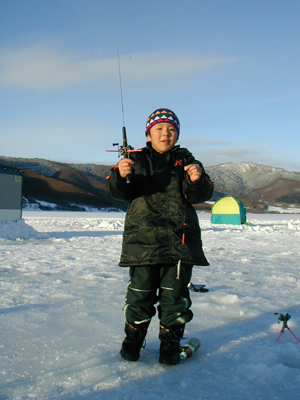 Drill a hole on the frozen lake and start fishing Wakasagi(smelt fish)! You will forget you are on the frozen ice now as you will into fishing so much! Please see the program page around mid-November again. *This space is for the Customer Reviews after joining the activity. Next time, please kindly fill in the inquiry mail form below. We would like to try this fishing experience on Dec 30 2018. We will travel from Asahikawa Station that morning around 11am, and have to leave the fishing experience by 3pm heading back to Sapporo. May I ask possible to have shuttle service from Furano Station venue ? Many thanks. *This space is for the Customer Reviews after joining the activity. May I ask you to fill in the inquiry mail form below?